"Sound the march!" 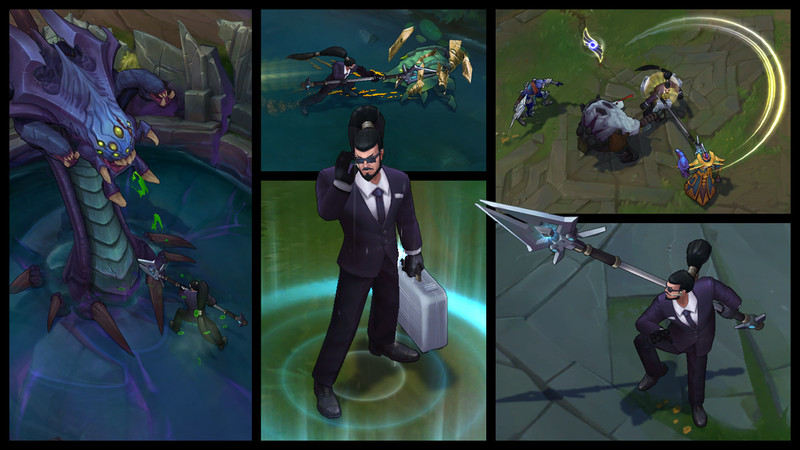 Secret Agent Xin Zhao is now available for purchase! Continue reading to Audacious Charge your way into a better look at this new skin! "Wield the Mark-VII, clandestine-class, utili-spear! Equipped with the latest in communications technology and palmprint identification software, this protean pike’s a repository of sophisticated tools and gadgets for the modern day secret agent. It’ll enhance your spycraft with everything from garden-variety lockpicks to a microprocessor that coordinates ganks in seven hundred languages (including whatever the hell it is that Gnar yowls). You’ll still mostly poke people with it. 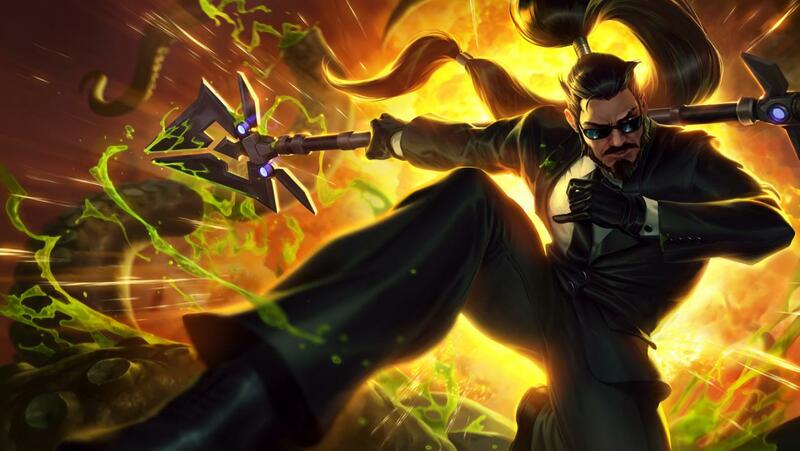 Come in from the cold with Secret Agent Xin Zhao, available now in the store for 975 RP."